Screengrab via NBCTrump has a favourite impersonator, and it’s not ‘Alex’ Baldwin. President Donald Trump slammed actor Alec Baldwin’s recurring “Saturday Night Live” impression of him, after mispelling his name. 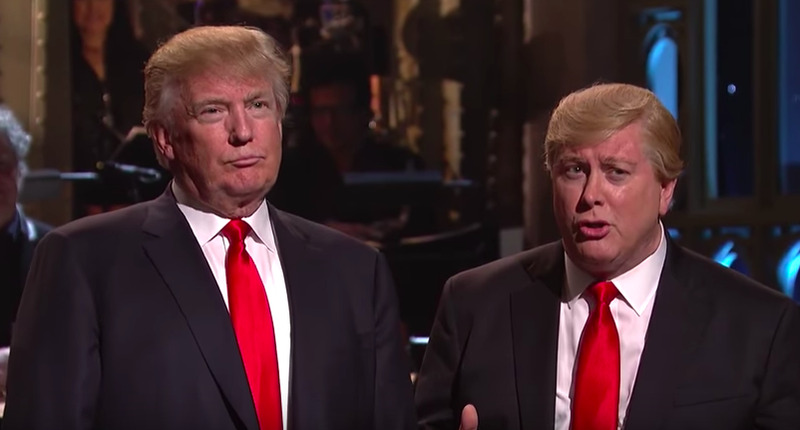 Baldwin has sparred verbally with Trump and often portrays him as a buffoon in topical sketches for SNL. Baldwin replaced long time SNL master impressionist Darrell Hammond at the start of the 42nd season of the show. President Donald Trump slammed actor Alec Baldwin’s recurring “Saturday Night Live” impression of him, and at the same time appeared genuinely not to know the actor’s name. Baldwin has sparred verbally with Trump and often portrays him as a buffoon in topical sketches in SNL. 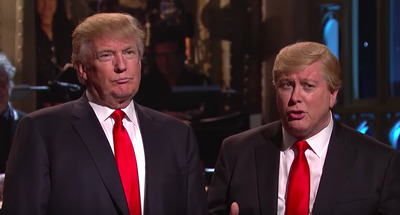 In December 2016, Trump tweeted that SNL’s portrayal of him was “totally biased, not funny” and that Baldwin’s impression “just can’t get any worse. ” Baldwin responded by offering to stop doing the bit if Trump would release his tax returns, which he still has not. Baldwin replaced long time SNL master impressionist Darrell Hammond at the start of the 42 season of the show, something which fans and Hammond himself have struggled to cope with. “I just started crying,” Hammond told the Washington Post in response to finding out he had been replaced as Trump’s impersonator. The comic had been a fixture on “SNL” since 1995, doing memorable impressions of not just Trump but Bill Clinton, Al Gore, and Sean Connery. He was also the show’s announcer after its legendary voice, Don Pardo, died in 2014.